Home » Beauty Care » How To Get Rid Of Blackheads? 2.2. Blackheads or Sebaceous Filaments? 4. How to Get Rid of Blackheads? Everyone wants a flawless and smooth skin. However, due to the unfavorable environment or many health problems, ranging from mild to severe, plenty people have skin issues. This concerns most of us and it does harm to our looks and confidence. Out of many skin conditions, blackheads are the most common one. You hear of blackheads all the time, but do you know what they really are? In this article, we will give you a comprehensive guide on how to get rid of blackheads with the safest and detailed methods. Read on! Blackheads appear to be small and dark bumps on your skin. They are considered mild acne even though there might not be acne symptoms when you are having blackheads. Blackheads are comedones, and they happen when a comedo is open, resulting in the clogging of your dead skin cells or sebum oil. After this, the oxidation process makes the cells turn dark and create a blackhead on your skin. So what are the symptoms of blackheads, a.k.a. open comedones? Since the follicle containing a blackhead is open, it is exposed to oxygen and the skin cells inside can be seen as a dark-colored spot. Upon knowing more about blackheads, you should know that they are not dirty and have no relation to your skin being clean or not. They are not dirt but oxidized dead skin cells. If you are wondering about getting rid of dead skin cells, read our article HOW TO GET DEAD SKIN OFF YOUR FACE. Blackheads can appear in many areas of your body, including your face, back, arms, chest and shoulders. On your face, they show up mostly on your nose, your forehead and your cheeks. Aside from this article of how to get rid of blackheads, you can read more on how to say goodbye to them at HOW TO GET RID OF BLACKHEADS ON CHEEKS, HOW TO GET RID OF BLACKHEADS ON FOREHEAD, HOW TO GET RID OF BLACKHEADS IN EAR, and HOW TO GET RID OF BLACKHEADS ON LIPS. Despite their identification, many people seem to have mistaken them for sebaceous filaments when they appear on the nose. Sebaceous filaments are completely just natural sebum produced by your own skin, in order to moisturize itself. Most people have them on their nose. When you squeeze it, there will be a thin white thread coming out of the pore, unlike the hard dark blackheads. The basic differences between them are while sebaceous filaments lie visibly under your skin, blackheads are clogged sebum and dead skin and are at the skin surface. Blackheads are also generally bigger and darker than sebaceous filaments. It should be easy for you to identify the two types if you come across them. And if you are wondering about the duration of blackheads, take a look at our article HOW LONG DO BLACKHEADS LAST and we will answer your question! Some steroid medicine like corticosteroids . Blackheads are truly something no one wants on their face. So what would you do if you have blackheads? We will show you how to get rid of blackheads so that you can return your skin to silky smooth! If you are interested in knowing more about this topic, do yourself a favor and read the informative article BEST BLACKHEAD REMOVER! In this section, we are going to introduce to you many methods of how to get rid of blackheads, including manual removal method, medications and last but not least, home remedies. All these following methods are known to be safe and effective, so what are we waiting for, let’s go! Almost everyone would choose to treat their blackheads at home, but dermatologists and specialists know better than you. They have all the tools and specialty needed to make sure your blackheads go away and they will take care of your skin after the procedures. How do the professionals remove your blackheads? Let’s take a look! Many people who are looking for the answer to “how to get rid of blackheads” on their face and body at home can use this method. It is very convenient because you can purchase pore strips or similar products online or in beauty product stores everywhere. They are affordable and quite effective, but be careful when you use them since they can irritate your skin if used in the wrong way. During the treatment of blackheads, if there is one thing you should avoid doing, it’s touching your face! You might often feel the urge to squeeze these open-air pimples, but like we said above, you should leave this to professionals like dermatologists. Squeezing them out carries the risk of irritation and even infection if your hands or tools are not sanitary. However, what if you don’t squeeze them? 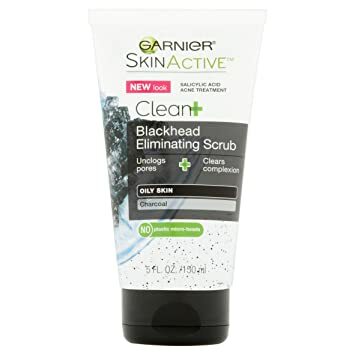 Find out at WILL BLACKHEADS GO AWAY WITHOUT SQUEEZING? When you are having blackheads, it is understood that there is excess sebum in the follicle, so you need to clean your skin. Some people might clean it with too much pressure and this will only worsen the issue. Scrubbing your skin will only take away the much needed natural sebum from your skin, which leads to the overproduction of oil and you might end up with even more blackheads! Oil-based makeup, skincare and hair products make a favorable environment for blackheads to develop on your skin as they contain oil and add oil to your skin. To deal with blackheads, you should simply avoid oil-based beauty products for clearer and brighter skin. Besides, you should stay away from the humid environment, say no to tight clothing items and keep yourself hydrated. When your body has enough fluid, it will not keep having to produce more oil to moisture the skin leading to many oily skin problems . Nowadays, medicines are quite an effective and quick way on how to get rid of blackheads. There is a variety of medications for you to pick out the most suitable one, namely over-the-counter medications, prescribed medicines and laser therapy. Let’s find out more about the options! You can easily acquire over-the-counter medicines at any drugstore without prescriptions from the doctor. There are many types of medicines for blackheads in cream or gel and can be used topically so it’s very convenient for you. These formulas will help you get rid of nasty blackheads by eliminating the bacterial infections and excess oil. This blackhead scrub has received numerous positive feedbacks. You will feel the difference after only one use, as the charcoal formula in this scrub can pull all the nasty blackheads out and tighten your pores. It can also clean your excess oil off your face and you will no longer have oily shiny face! After exfoliating, you should use a moisturizer so your face is fully hydrated. Once you have tried this face scrub, you will love it. The smell of green tea is refreshing and it helps unclog pores and ease the redness on your skin. Green tea is known to be an exceptional antioxidant and what it does to your skin is preventing the oxidation of the sebum causing blackheads. The first advantage to this product is that it can be used for your face and body. Benzoyl peroxide can efficiently kill bacteria and this prevents any breakouts. If you aren’t a fan of foam face wash, this is the ideal blackhead remover for you! However there are things you should remember before deciding to get this product: it is not for sensitive skin, and you cannot use an oil-based moisturizer after using this. Dryness and irritation can happen and you should only use it every other day. This method is highly effective since you need to go to the doctor for prescribed medication. Being diagnosed by a doctor will help you to get a better understanding of your situation and you will have stronger medicines if OTC medications do not prove to be helpful with blackheads on your skin. The advantage of laser therapy is that it is surefire. Laser treatment or any kind of similar light therapies will rid your skin of pestilential bacteria using light beams. You should only have this kind of treatment done at a credible spa or hospital. The only downside to this method is the cost of it, but you should totally go for it if it’s affordable to you. Blackheads are such a nuisance, and who doesn’t want to get rid of them as fast as possible? However, we recommend that you only resort to any medications after you have tried these following home-based formulas. The reason is that all of them are safe to your skin and they are told by many people to have worked wonders! Let’s see what they are! Why is exfoliation the first on the list? Because this is one of the most fundamental knowledge you need to have when it comes to skincare. If you do not exfoliate, you might experience clogged pores, leading to blackheads and other skin inflammations. So our advice is to exfoliate the skin once every week and you will have the healthiest skin! The question here is how to get rid of blackheads with exfoliation method? The easiest way to do it is with very familiar ingredients in your kitchen. We recommend three simple combinations: Baking soda and water; lemon juice and sugar; salt and unsweetened yogurt. Note: Remember to wash your face before exfoliating. You should only scrub your skin very gently, or it might be irritated and worsen the problem. Making its way into this list, isn’t baking soda the most versatile thing in the world? Besides its culinary function, baking soda is used widely to keep household clean and fresh. It also works great when helping with skin conditions like blackheads. It does not only act as an exfoliant to get rid of your dead skin cells, but it also cleans your skin, balance the pH level of your skin. Apply this 1 – 2 times a week. Using lemon juice is one of the best ways to remove the pesky blackheads. It has AHA citric acid and vitamin C, which serve as a great substance to unclog pores and improve how your skin looks. Lemon juice has a bleaching property so you should only apply this method once a week. If your blackheads aren’t going away, there is another way to remove blackheads with lemon juice. It is more extreme, so you should only use this method if every natural way you have tried fails. Note: Avoid applying this on delicate areas like the eye region. You should only use a soft brush and get a new clean brush to do it. If you have used tea tree oil, you will see how magical it is in dealing with skin issues. How to get rid of blackheads using this method? Well, tea tree oil is made of many natural minerals and vitamins. It is antibacterial and it can protect the skin from acne breakouts. You can get tea tree essential oil for yourself with reasonable price and fantastic effect. It is reported to work after 1-3 days of using. 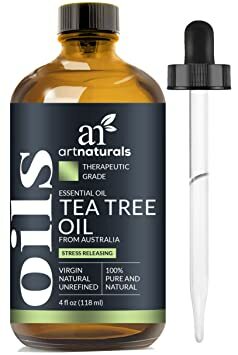 Tea tree oil can also help with acne and insect bites. 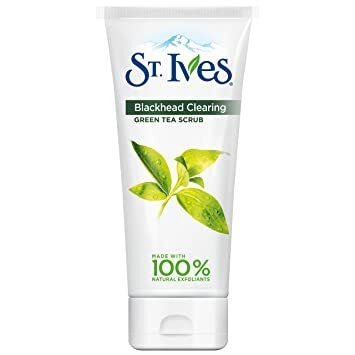 How to use it: Simply apply tea tree oil on the blackheads. Green tea is known for its vitamin and antioxidants that will decrease the oil production in the sebaceous glands and protect your skin from inflammation and damages. You can purchase green tea and related products like green tea powder in the supermarket. Using either green tea leaves and green tea powder is possible. Green tea does not have side effects on your health so you can use this method every day or every other day! So it’s one great tip on how to get rid of blackheads! Honey has antiseptic and antibacterial properties. It provides the skin with moisture but it also helps tighten the pores, which will improve your skin condition significantly. Every kitchen has a jar of honey that can be used for cooking and skin care. Use this method once or twice a week. Out of many home remedies for blackheads, turmeric is known for its efficiency. Using turmeric is easy, and it can remove blackheads so effectively because it is antibacterial and anti-inflammatory. It does not only help you get rid of acne and blackheads but it can also miraculously erase scars. The question “how to get rid of blackheads” isn’t difficult to answer! Since turmeric can stain your skin, you can mix it with milk, honey or oil to reduce staining. Apply turmeric on blackheads 3 – 4 times a week. Another ingredients common seen in the kitchen is on the list of blackhead terminators! Cinnamon can reduce blackheads and make your skin brighter due to its ability to kill bacteria. In another way, you can mix cinnamon with honey and apply on the affected region overnight. Wash your face in the morning. To get the best results, you should follow this home-based remedy for consecutively 10 days. Oatmeal is a gentle exfoliant yet a deep cleanser for your skin. It’s safe, it’s easy to make, what are the reasons not to try? Even the most sensitive skin will be pleased with oatmeal scrub because it can unclog the pores and ease irritation. It’s truly a key to how to get rid of blackheads. You should use this home remedy on blackheads twice a week. If you are aching to get rid of blackheads, you might have seen cosmetic pore strips for them in beauty shops. The good news is that you no longer have to spend money on that because you can make your own pore strips! We also have wonderful formulas for home-based mask for blackheads that you can try out at HOMEMADE FACE MASK FOR PORES AND BLACKHEADS. Apply this method every week for best results. Blackheads do not only do damage to your beauty but treating it also can be cost you money. And since “an ounce of prevention is worth a pound of cure”, after you have known how to get rid of blackheads, we have some advice for you on how you can prevent them to save you from the nuisance! Clean skin, healthy skin! You should wash your face at least two times a day, once in the morning when you get out of bed and once before you go to bed. However, there are two things you should remember when you wash your face: only apply gentle pressure to avoid damaging the skin, and use gentle face cleanser so you won’t have to deal with any irritation. Another thing you should bear in mind so that you can keep your skin clean is that you have to sweat the right way. Sweating is good for you, but make sure you rinse your sweat off in time or your sweat containing debris and bacteria will get stuck in your follicle and create blackheads. Keeping your skin clean also means removing all makeup layers before going to bed. You should invest in a decent makeup remover or cleanser because hitting the pillow with makeup on your face is a crime to your skin! Remnants of makeup products on your face will trap sebum under your hair follicle and create blackheads. You should wash your hair as soon as it gets greasy, too. Oily hair will create clogged pores near the hairline region and it will lead to blackheads where it’s oily. Oil-based hair products should be avoided as well since they are one huge cause of acne and blackhead breakouts. Hair conditioners are similar, so if you want to use it still, you should consider washing your face and body after you use hair conditioners. When you are looking to buy sunscreen or moisturizer cream, go for water-based products. If you have oily skin, you should seek cosmetics or other types of skincare products that are labeled “non-comedogenic” or “oil-free”. These products are life-saving for people with oily, blackhead-prone skin because using these will prevent clogged pores and blackheads. They are widely sold at pharmacies and even online . Clothing accessories such as sunglasses, hats, and masks are there to fashion you up and in a way protect your skin. But do you know they can be a culprit for clogged pores? You might really want to keep them clean because when they come into contact with your skin, the dirt on them is sure to end up on your skin, inviting blackheads to show up. Your face also touches your pillowcase every night when you go to bed, so the pillowcase might contain a lot of facial oil and dead skin cells, and it is vital that you wash it on a weekly basis. So from the previous section of the article, you already knew that exfoliation is one of the answers to how to get rid of blackheads. Natural exfoliants, for instance, sugar and lemon juice mixture, can clear dead skin cells and give you smooth and youthful skin. They can efficiently keep blackheads at bay! The importance of skin moisturizing is unarguable, even for people with oily skin. A lot of people might think if you have oily skin, you don’t need to moisturize it. This can’t be more wrong! When your skin is dry, the sebaceous glands need to work harder to produce more oil and as a result, your skin will even be more oily and prone to breakouts. So remember to apply moisturizer every day! It is essential that you keep the skin’s natural moisture from the inside as well. You can simply do this by staying hydrated: drink a lot of water! As we said above, when you are dehydrated, your skin is more likely to be oily and that is the cause of blackheads. Proper hydration will help you maintain good health and good skin. Having blackheads must be annoying, but there are so many ways you can try to eliminate them. We suggest using home-based remedies before you decide to take medicines. When you have blackheads, it is crucial that you do not touch the affected areas to avoid irritation and inflammation. You should also remember to keep your skin clean and stay away from oil-based products. We hope you have found your answer to “How to Get Rid of Blackheads.” If you have any questions, comment down below and we will be glad to help! Make sure you SHARE this post on your social media with your family and friends!